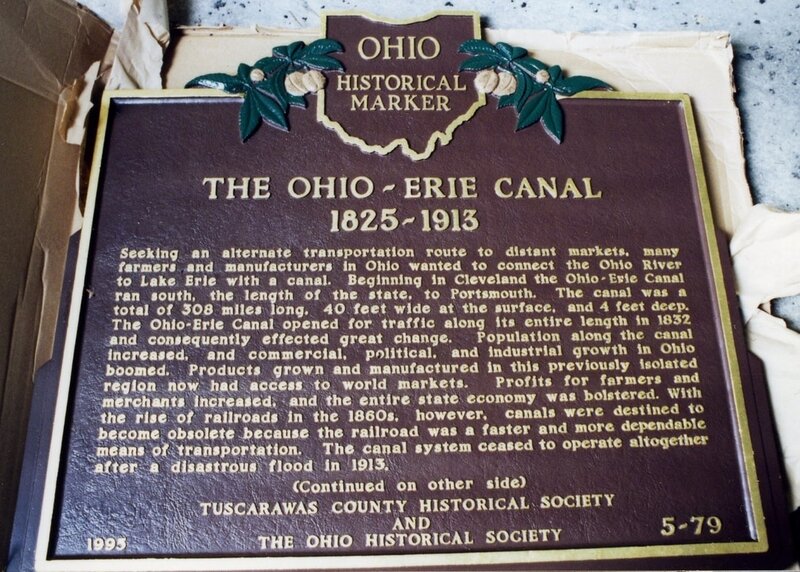 The Tuscarawas County Historical Society was formed to preserve local history. 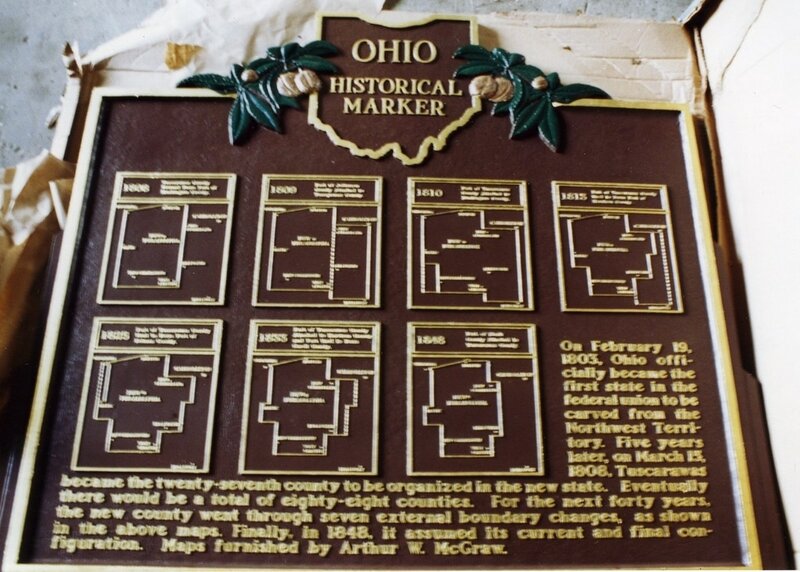 One aspect of that was to mark historically significant locations throughout the county. 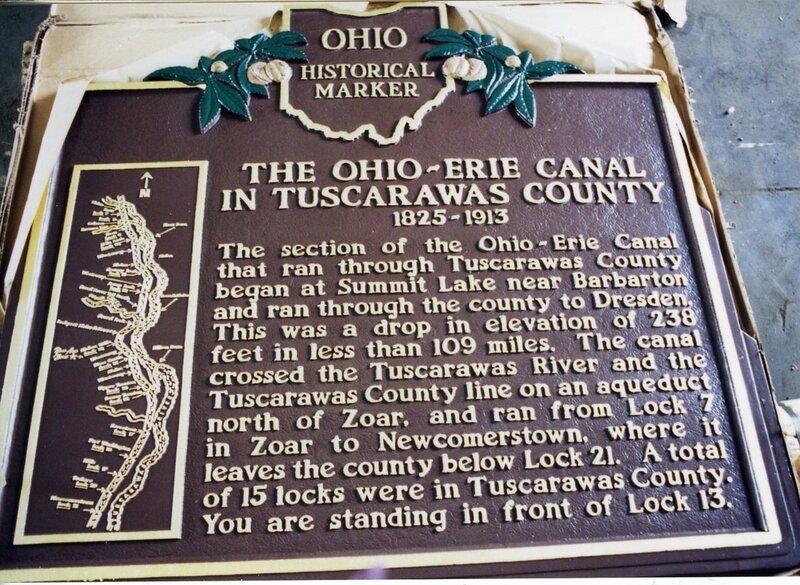 The Tuscarawas County Historical Society has been part of the Ohio Historical Markers program in order to do that throughout the county. 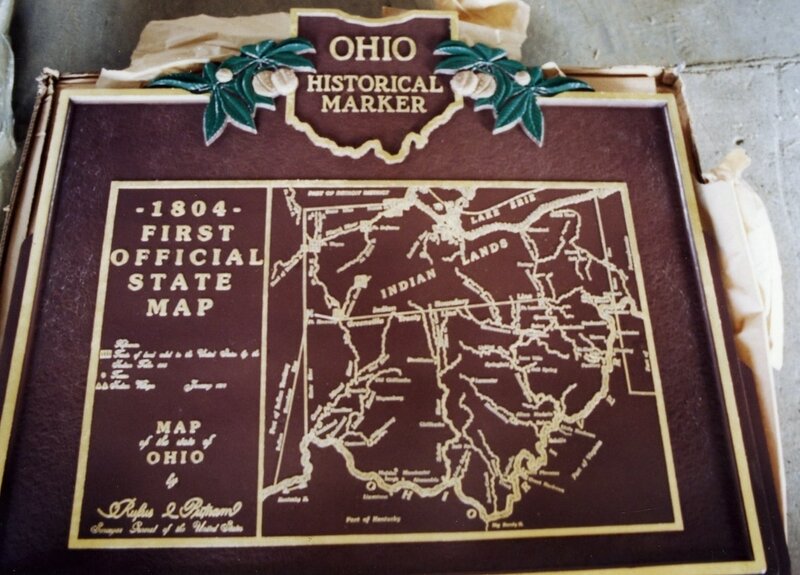 "The Ohio Historical Markers identify, commemorate and honor the important people, places and events that have contributed to the state's rich history." 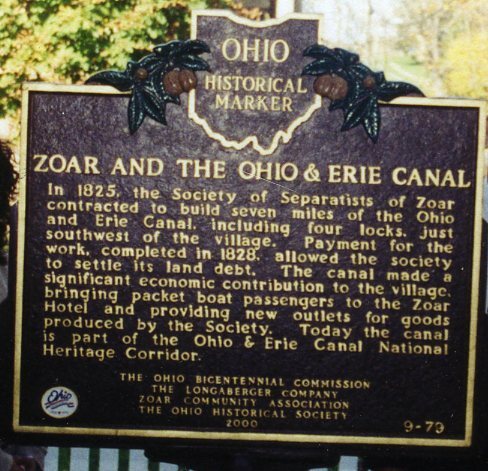 Along with funding many of our own markers, we have also helped fund other local organizations' efforts to place markers throughout the county. Included on this page are 12 markers placed by TCHS. 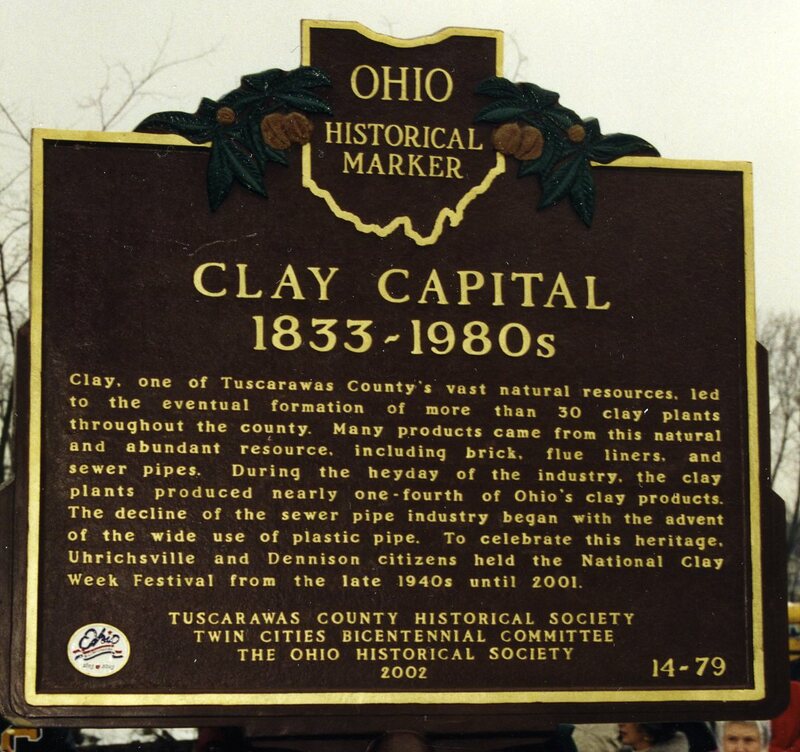 The Tuscarawas County Historical Society under the guidance of Earl Olmstead worked to raise the funds for the first two Historical Markers in Tuscarawas County in 1992 and 1993. 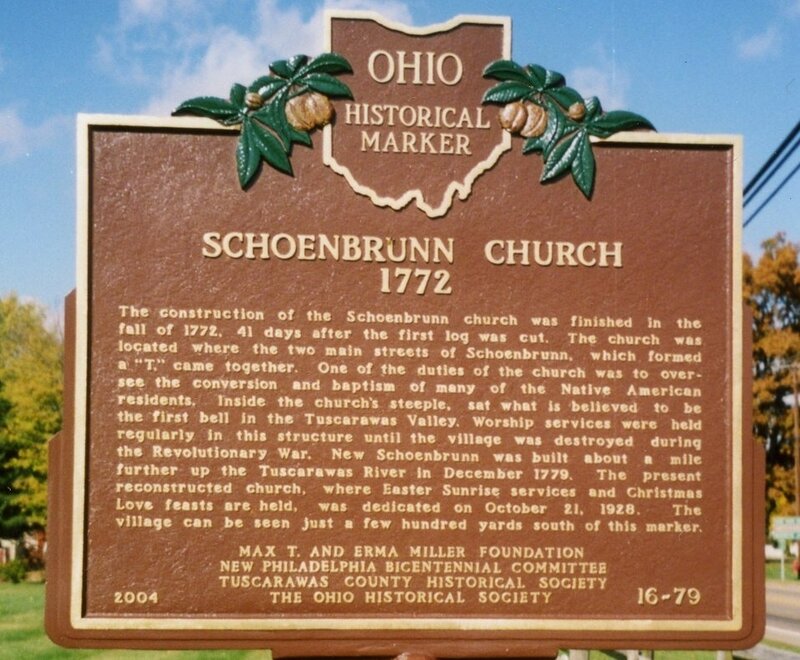 For more information on markers in the county and the entire state of Ohio visit www.remarkableohio.org. 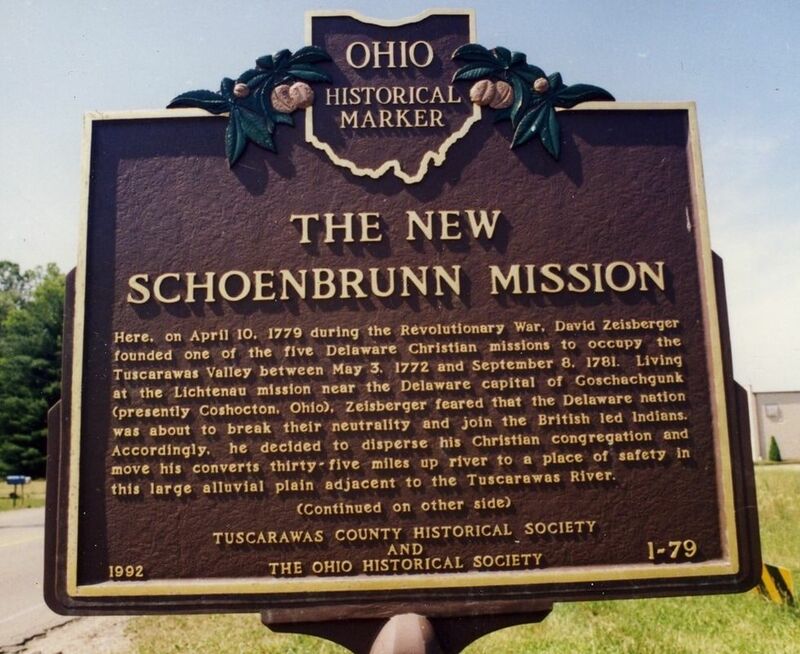 The plaque at the New Schoenbrunn mission site was placed by the Society on April 10, 1993. 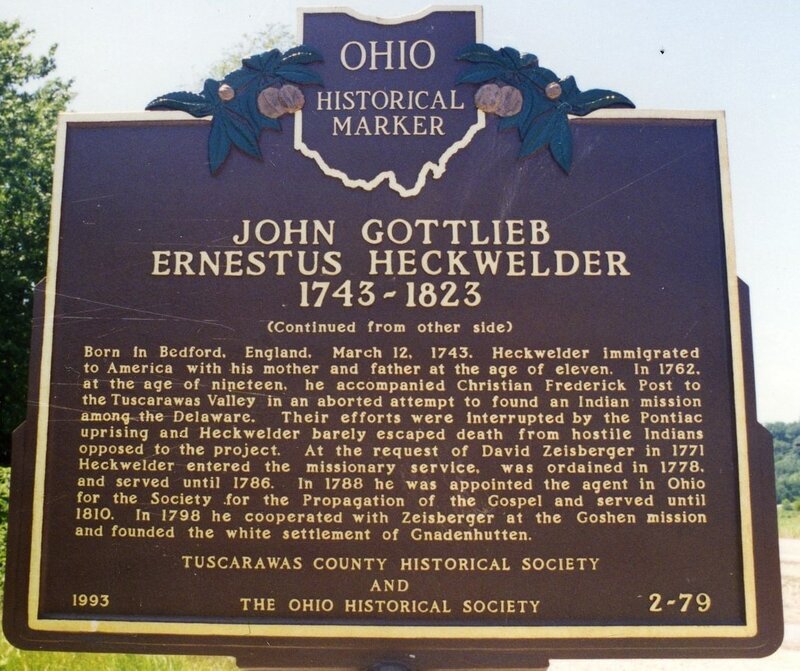 This is located on State Route 416 outside of New Philadelphia heading toward Tuscarawas. 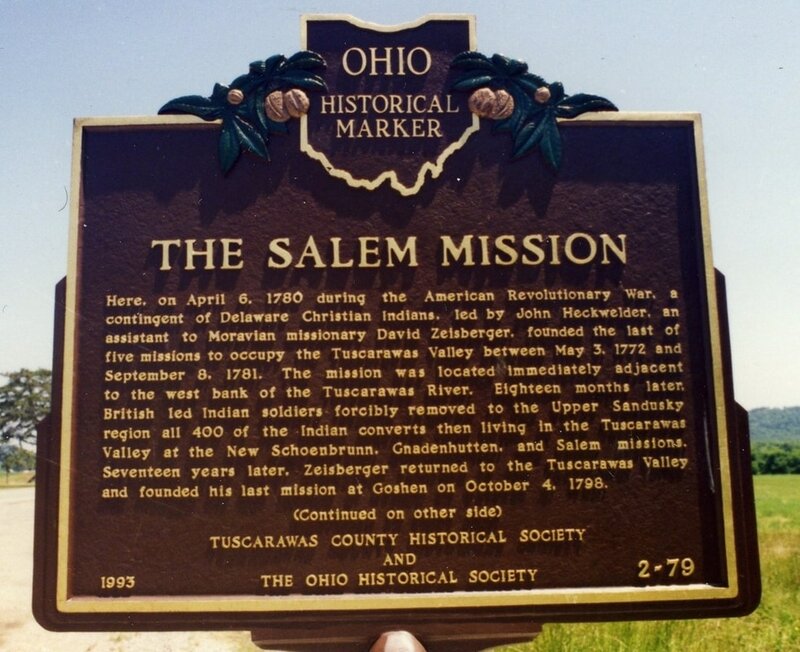 The Salem Mission plaque was placed on October 16, 1993. This marker is on State Route 36 right outside of Port Washington. 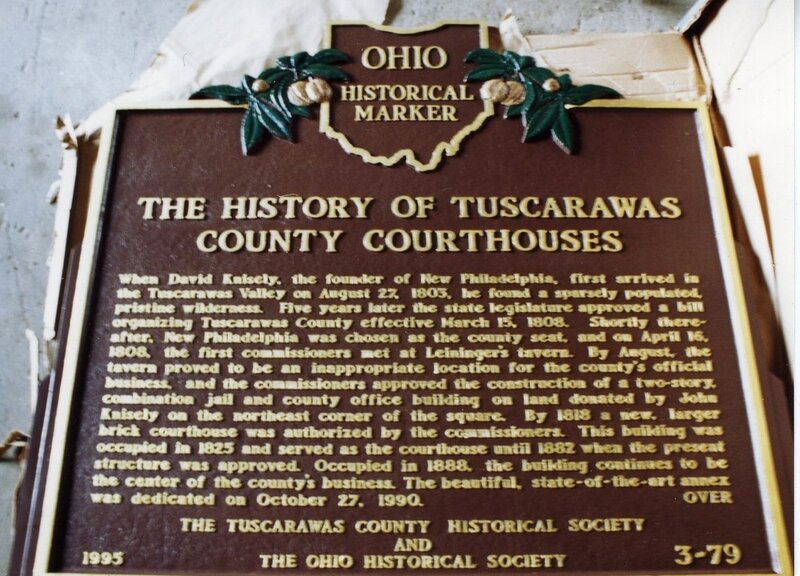 The Tuscarawas County Courthouse plaque was placed on July 22, 1995. It is on the corner of North Broadway and East High Avenue on the courthouse square in New Philadelphia. This plaque has an error. It should read that John Knisely, not David, was the founder of New Philadelphia. 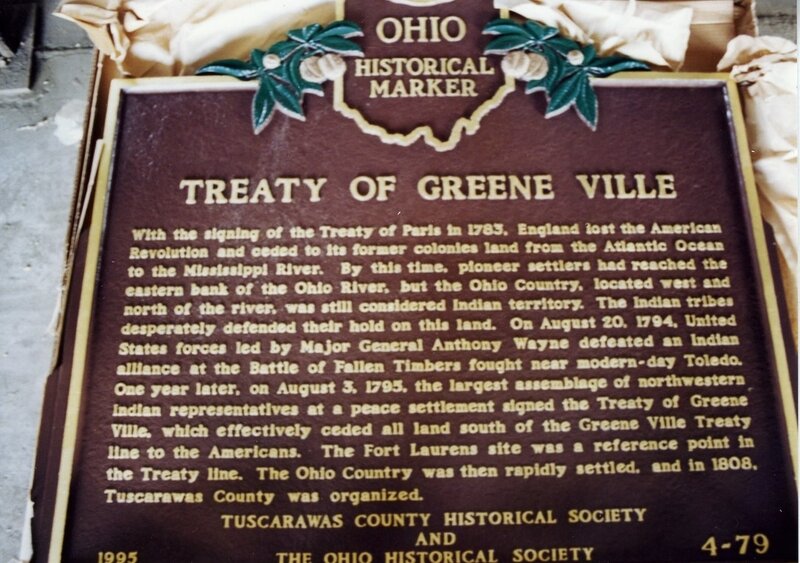 The Historical Society placed the Greenville Treaty plaque on August 19, 1995. 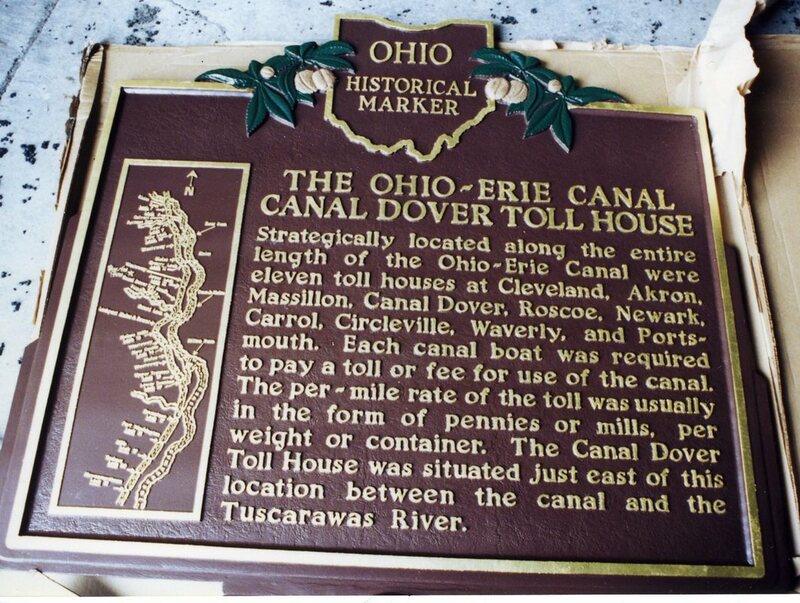 The Ohio Erie Canal Dover Toll House plaque was placed September 23, 1995. 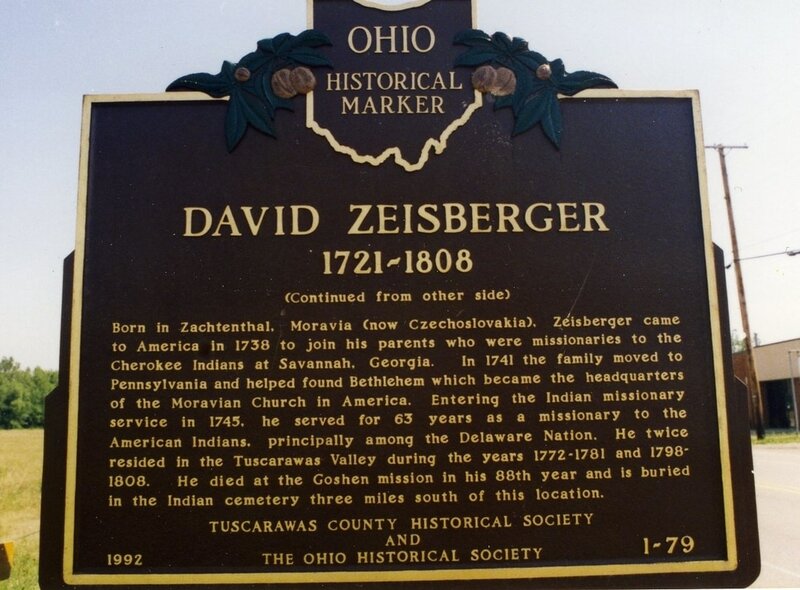 This plaque sits near a replica of the toll house on West Front Street between Tuscarawas Avenue and Walnut Street in Dover. 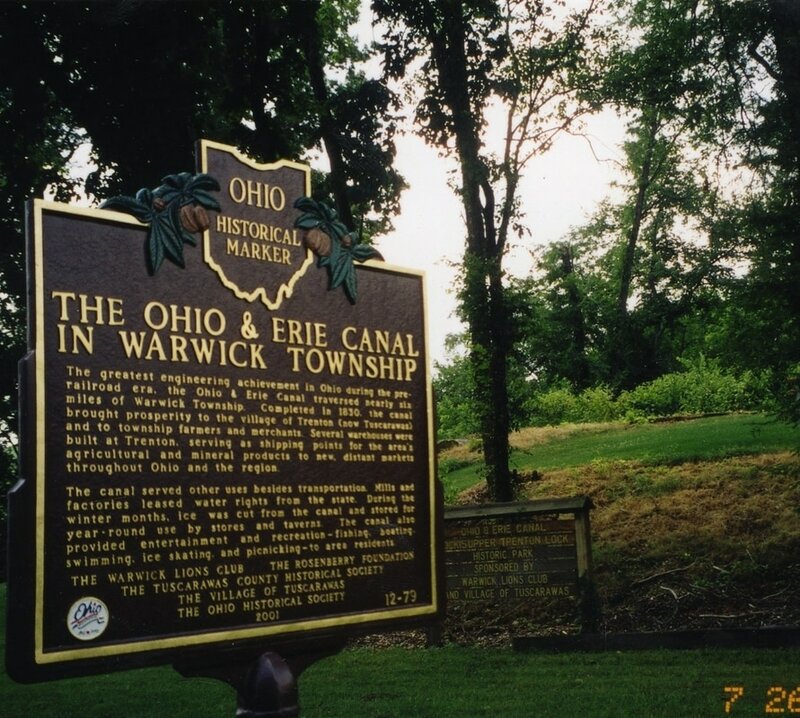 The Lock 13 plaque was placed on October 7, 1995. The front side has the same text as the toll house plaque. This marker is on Commercial Avenue SE in New Philadelphia. 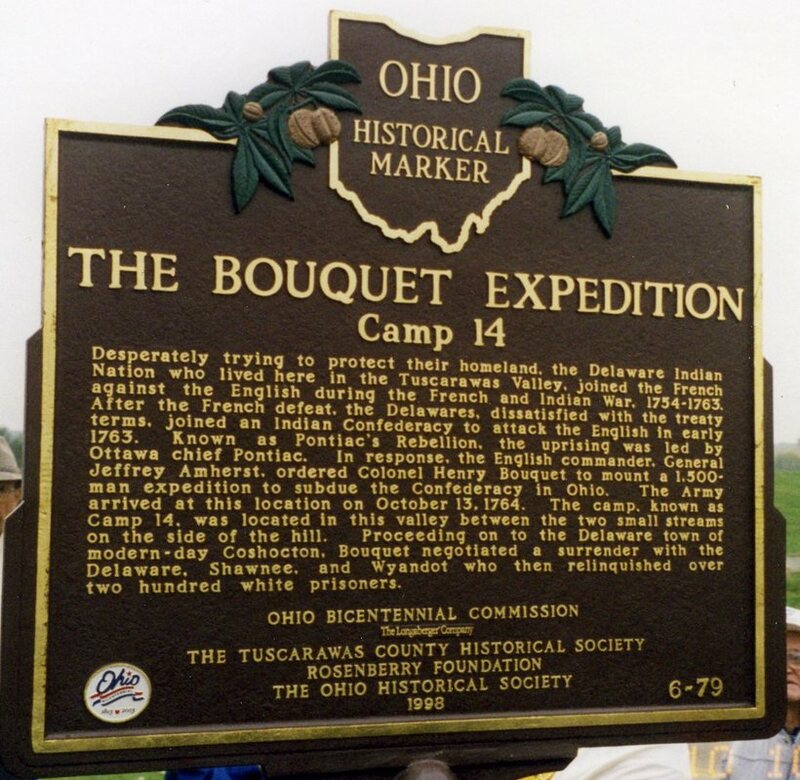 The Bouquet Expedition plaque was placed on October 10, 1998. It is on the left hand side of State Route 516 between Winfield and Dundee near an old Lutheran Church. 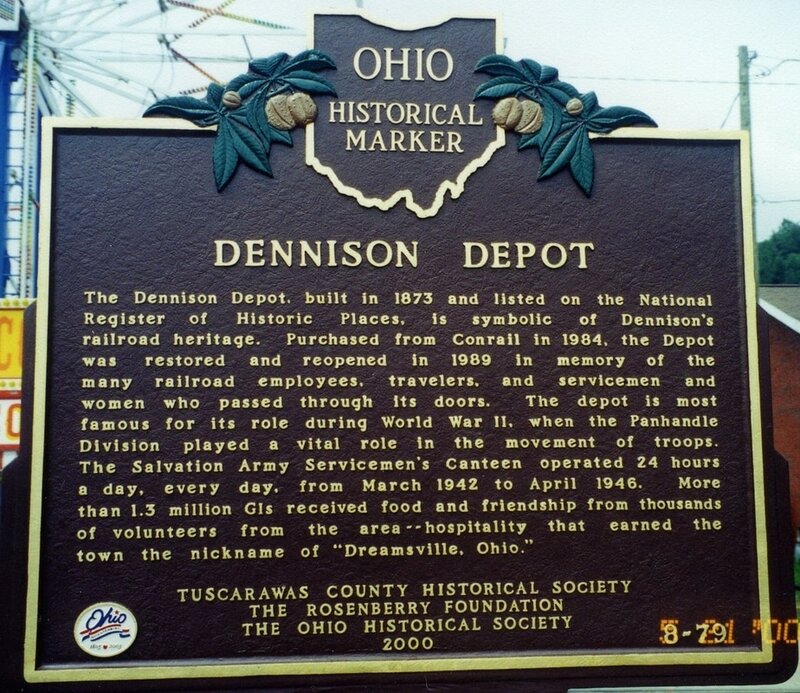 The Historical Society placed the Dennison Depot plaque on May 21, 2000. The plaque is located near the Dennison Railroad Depot Museum on Center Street in Dennison. 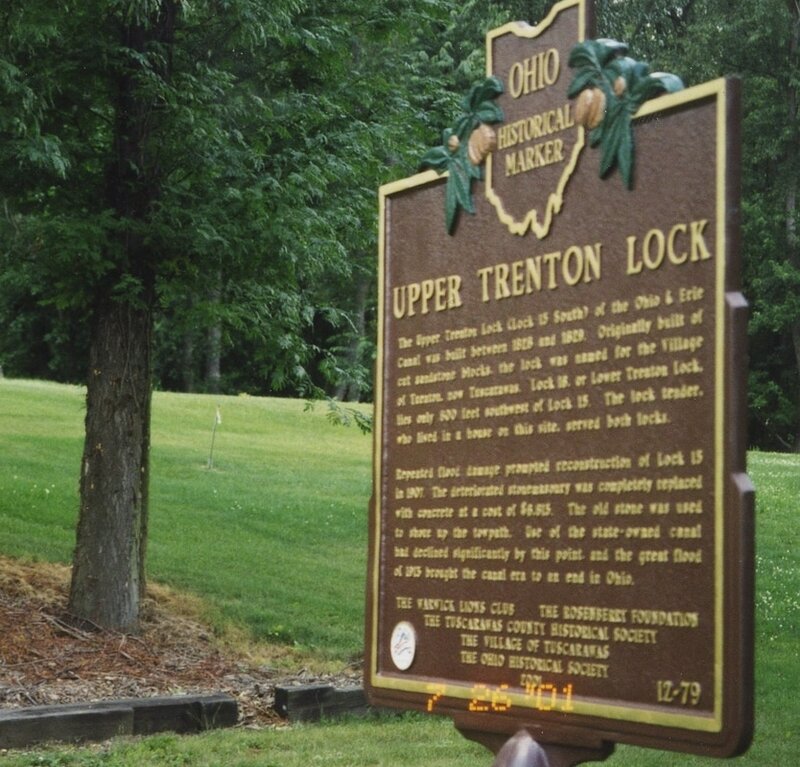 The Upper Trenton Lock, or Lock 15 plaque was dedicated August 17, 2001. 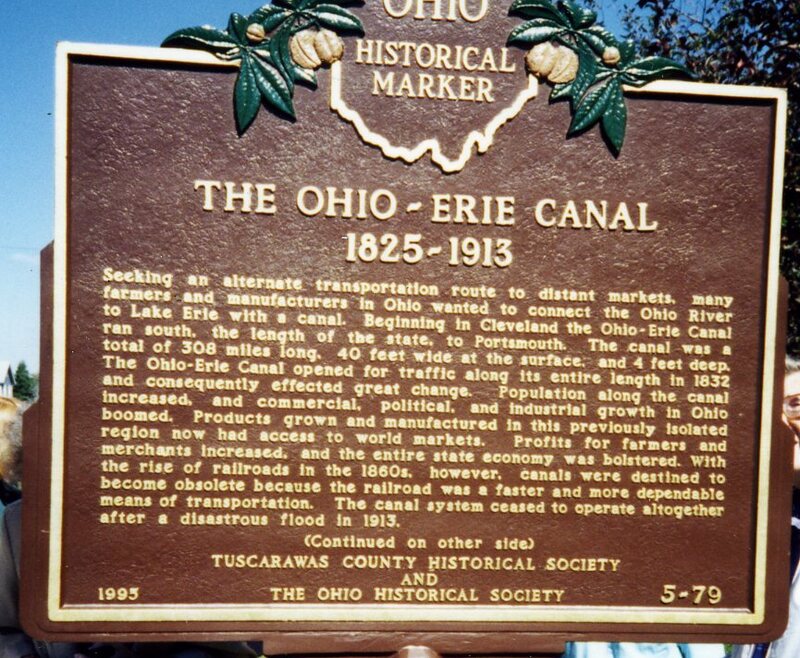 It is in the south end of the village of Tuscarawas. 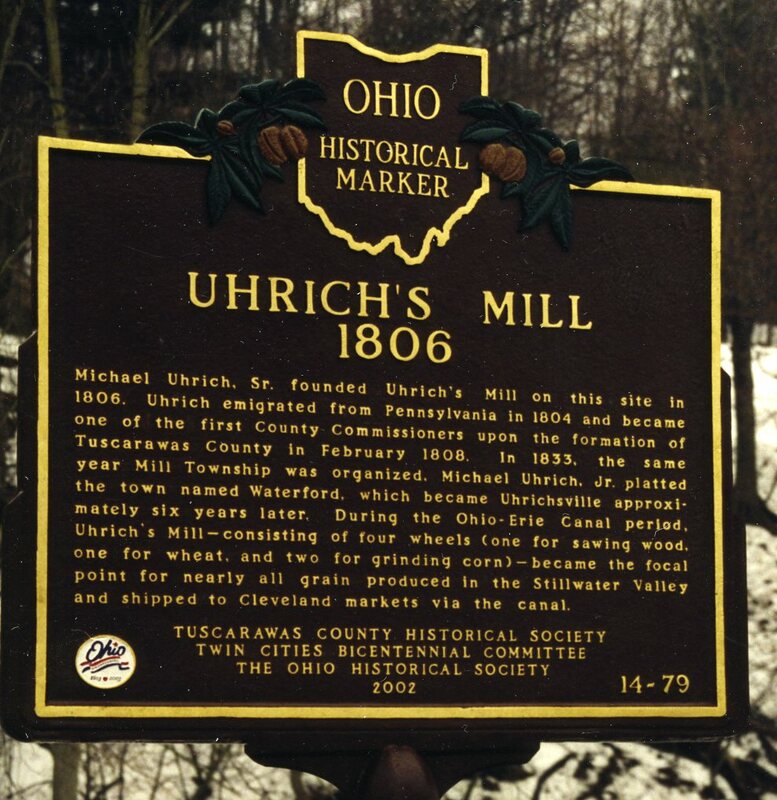 The Uhrichsville plaque was placed in March of 2003. 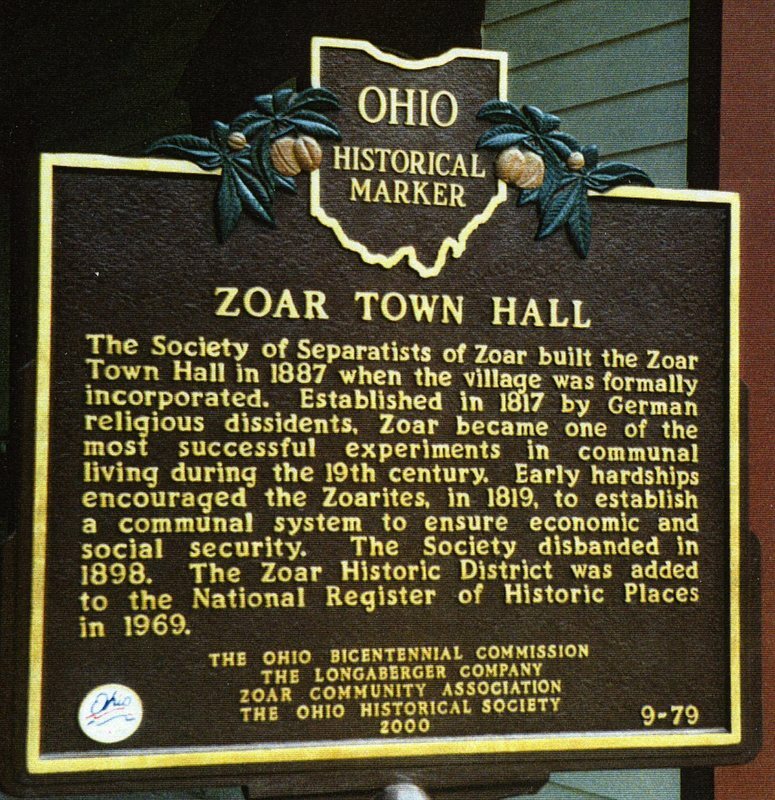 The village of Zoar has many Historical Markers. 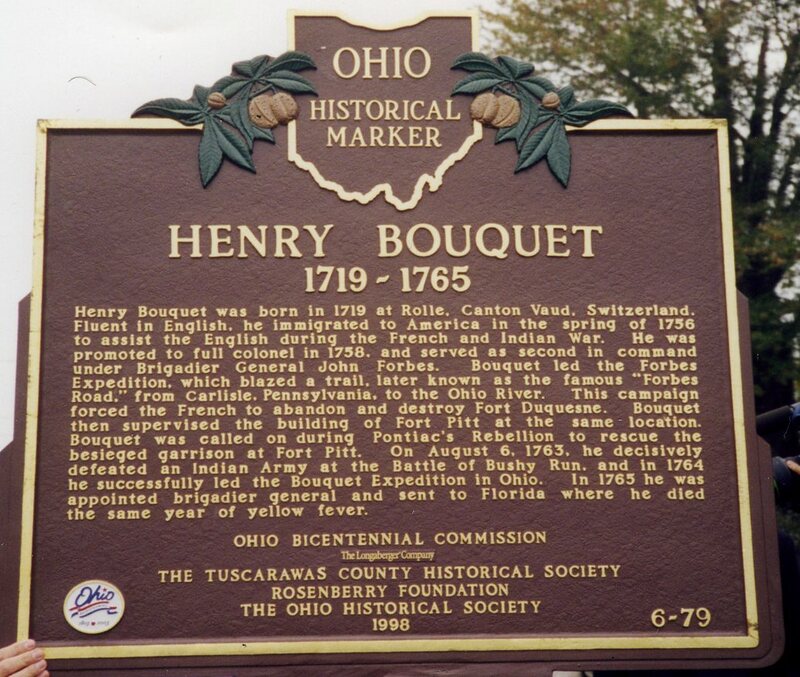 This plaque is in front of the town hall on State Route 212. It was place in approximately 2003. 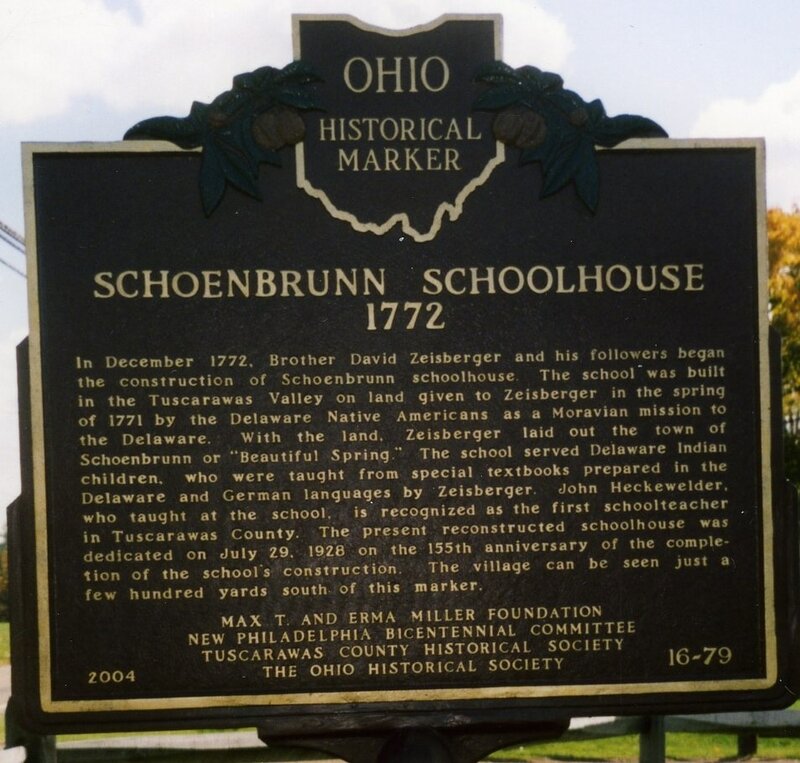 The Historical Society placed the Schoenbrunn Village plaque on October 24, 2004. This is located at the East High Avenue entrance to the village.